Turns out there was some substance behind those grainy images. KORG’s Minilogue XD combines the best features of their recent analog synth releases and claims to be an evolutionary step forward. 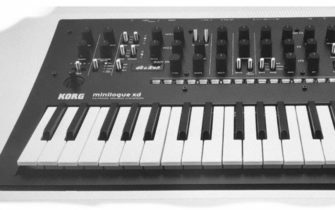 The Minilogue XD retains the same analog heart as the other ‘logues, while adding a powerful new digital multi-engine, improved sequencing and more. 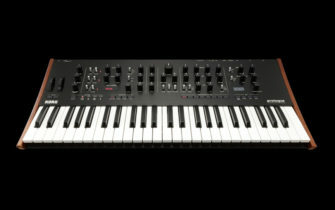 The voice structure of the synth has been further developed from that of the original Minilogue. Its digital multi-engine contains three different types of sound generation, to create complex custom in combination with the analog engine. High quality digital effects are on board as well. They cover a broad swathe of ambient effects, including delays, reverbs and a host of modulated flavours. The 16 step (and 16 button) sequencer supports realtime and step recording. Motion recording is available for up to four knobs. For more information, head over to the KORG website.